Our Duck tours offer an interesting and educational experience for your next student excursion. 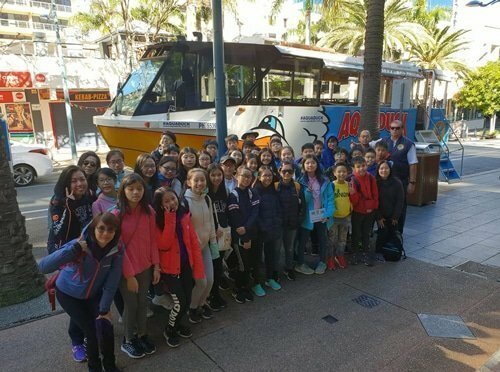 Students will learn some history, lifestyle and cultural features of the Gold Coast, as well as basic Gold Coast geography. The 1-hour tour begins in the heart of Surfers Paradise on Cavill Avenue. You can choose to take the tour along with other customers or book a private charter for your group. • 20-minute city tour and 40-minute Broadwater cruise. • A tour guide providing informative commentary is on board every tour. • Students have the opportunity to skipper the Aquaduck whilst on the water and will receive an Aquaduck Captain’s Certificate. • No health or fitness requirements. Aquaduck is suitable for all ages. • Every Aquaduck is equipped with Coastal grade life jackets for every passenger. Our Educational Specific Tours are much more than just the regular 1-hour tour. These tours have been designed as an excursion or education experience. They include all that the 1-hour tour offers plus additional information about boat building, engineering, Aboriginal history, geography and the environment. • Tours are led by our chief engineer who will show the students how the Aquaduck was built and how it runs using both an engine and a propellor. 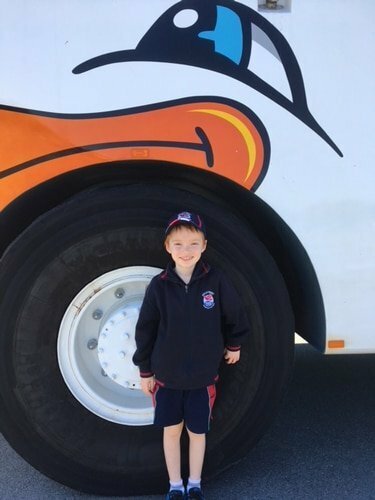 • Resources used include Aquaduck architectural Plans, images of the duck being built, and images of how Aquaducks are used today by the Army and the Australian Antarctic Division. • All students have the opportunity to Captain the Aquaduck while on the Gold Coast Broadwater and will receive a certificate and sticker to commemorate their successful captaincy. • Suitable for up to 31 passengers (students and teachers). Passenger safety is our priority. Every Aquaduck is equipped with coastal grade life jackets for every passenger and 200% vehicle buoyancy. All Aquaduck staff are trained and assessed monthly on the Safety Management System. 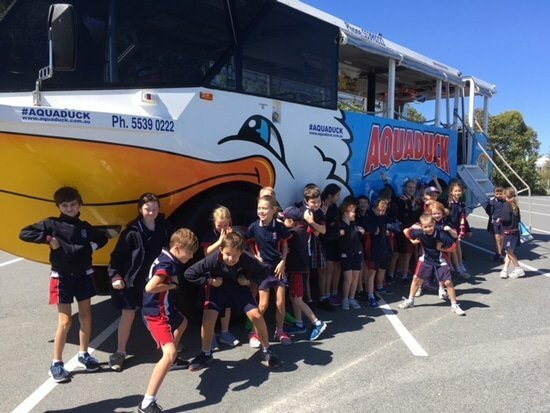 All excursion organisers will be provided with a Risk Management Plan in advance and schools and educators have access to the Aquaduck Safety Management Plan.